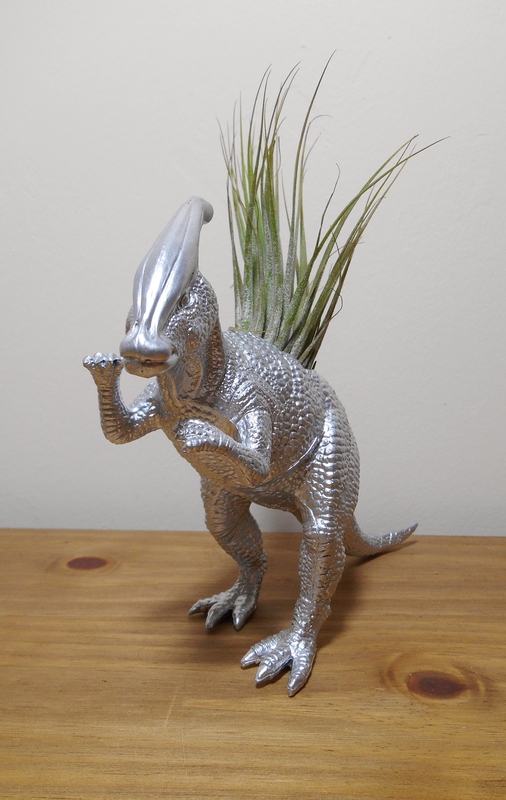 So I can finally unveil the ‘Plantosaurs’ I’ve been making! I had to keep them under wraps for ages as I was gifting them to some of my friends for birthdays and didn’t want to ruin the surprise in-case (in the rare event) they happened to look at my blog. 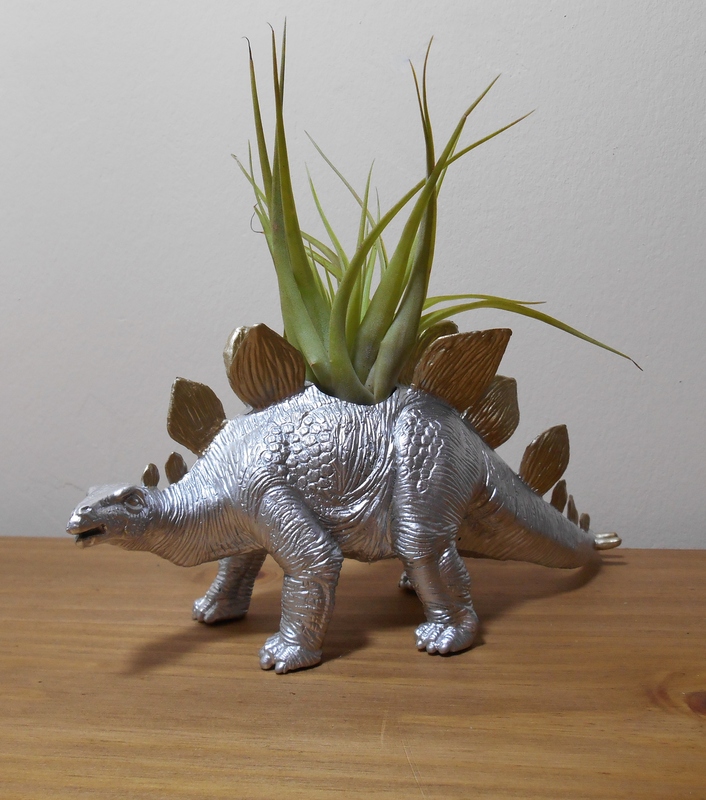 I spotted the idea on pinterest of using toys as planters, by searching for ‘home-made gifts for men’ and thought that by using dinosaurs they were the perfect cross between geeky/fun/cool/decorative. Of-course they’re not just for the men, I’ve kept two myself as they’re so charming! 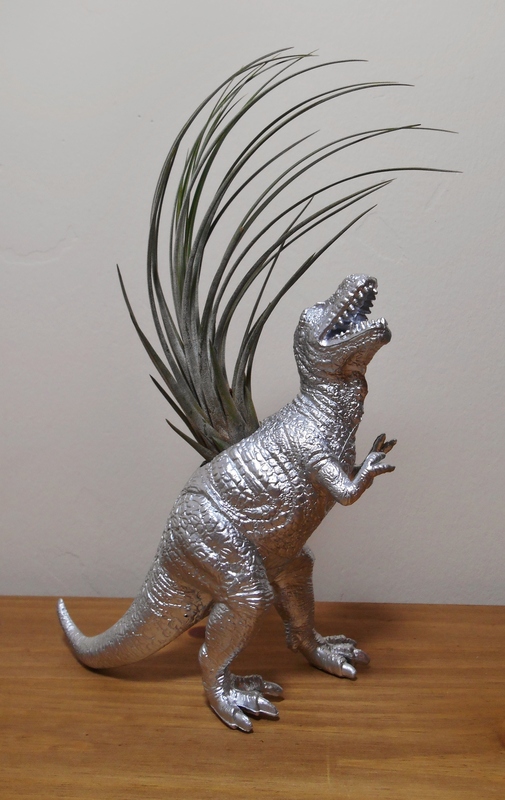 I changed the design I saw online a little by deciding to go with air-plants instead of soil planted succulents just to make life easier for the receivers – I mean I’m sure they can manage to give them a little spray with water every now and then, I hope… I also stuck with spraying them a neutral silver, instead of super bright colours that people could get too fussy over. I did try gold, but for some reason it dried tacky and was therefore written off as a potential colour. 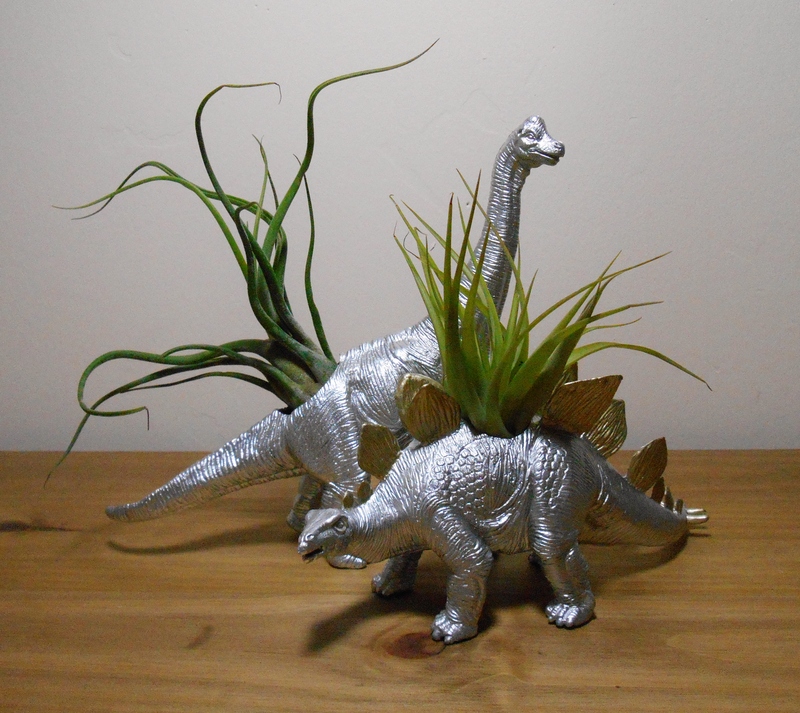 However on some dinosaurs I felt that little gold details would make them more interesting! 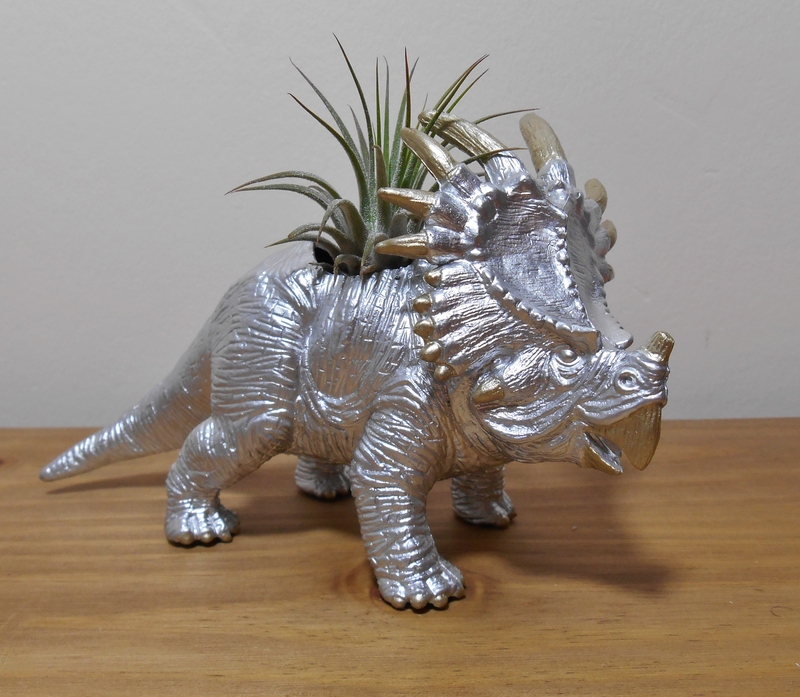 So here’s some more of my plantosaurs, most of them have already been gifted by myself personally or sold to friends as they wanted to give them as gifts too! 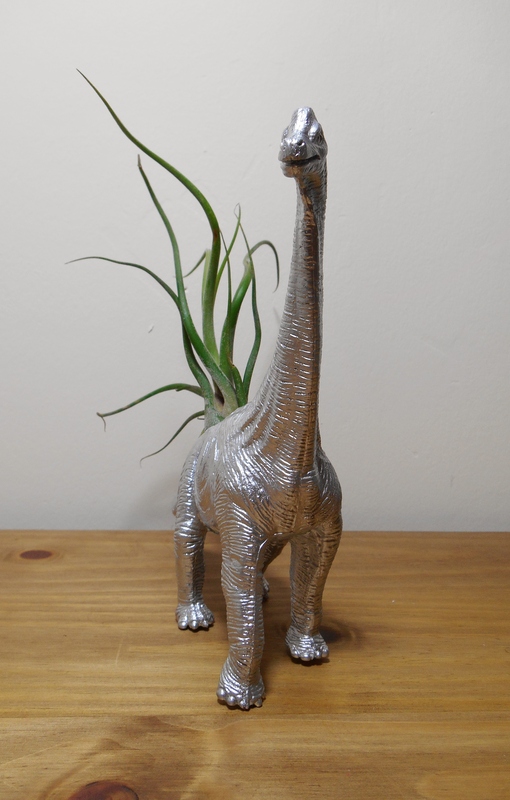 I’ve had such a positive reaction to them, and they’re so addictive to make that I’d love to take them to some craft fairs if I can manage to make more. (The weather is now against me as it’s winter – wind and wet do not go well with spray painting!) What do yous think, would you buy some of these guys? 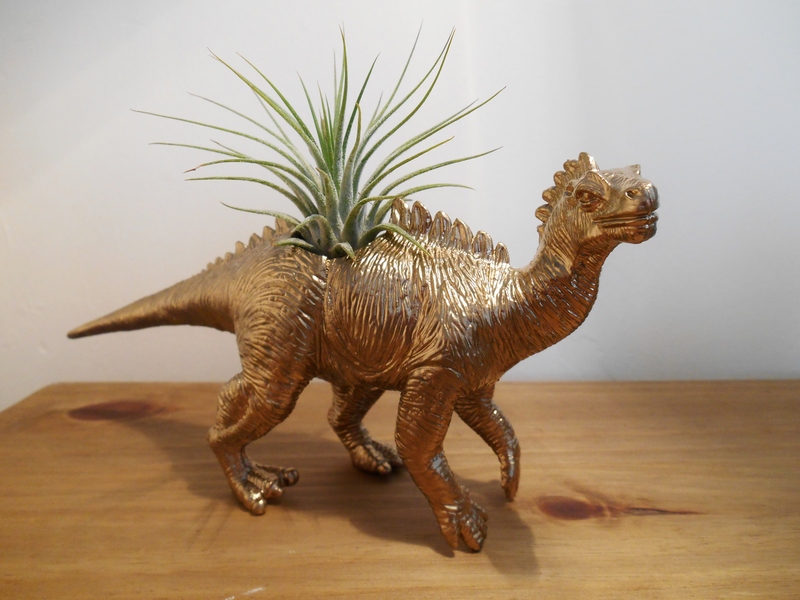 So which plantosaur would you give a home to? 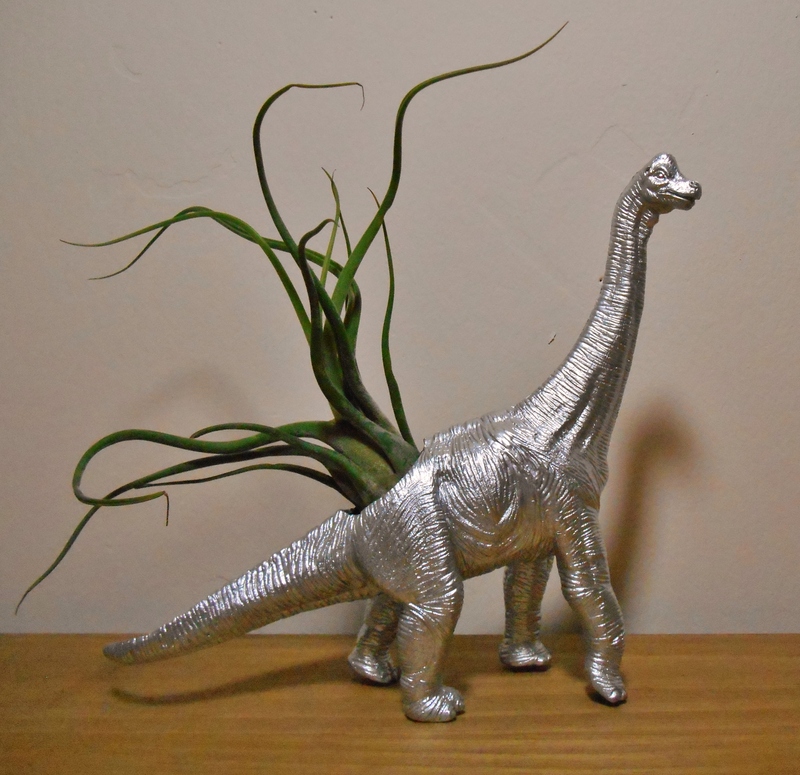 My favourites would definitely have to be the Brachiosaurus sporting a Caput-Medusae, and the rock-n-roll T-rex looking after a Juncae.